Bashundhara Papers Mills Limited Share Transaction will be started from today on 02 July 2018. Bashundhara Papers Mills Limited IPO Lottery Result & Information updated found here. Bashundhara Papers Mills Limited IPO Lottery Result 2018 has been published on 30 May 2018 & found here. BASHUNDHARA PAPER MILLS LIMITED Subscription Open from April 30, 2018, and Close on May 09, 2018. Bashundhara Papers Mills Limited IPO Lottery Result updated. 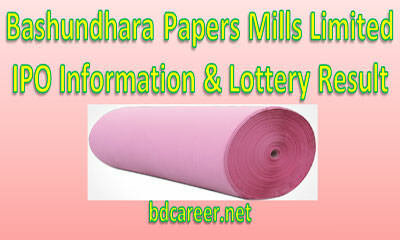 Download Bashundhara Papers Mills Limited IPO Lottery Result that will be published & found here. IPO or an Initial Public Offer (IPO) is the first sale of a stock by a private company to the public company. In this way, a company can increase money by issuing either debt or equity. IPO or Share market inauguration is a type of public offer in which shares of a company generally are sold to the predictable investors that in turn, sell to the general public by a securities exchange for the first time. Bashundhara Papers Mills Limited IPO Lottery Result found here. Bangladesh Securities and Exchange Commission (BSEC) has approved the initial public offering (IPO) of Bashundhara Papers Mills Limited on 30 January 2018 at their 626th board meeting. BSEC approved the IPO of the company to raise capital of Tk 200 crore from the market through book-building method on January 30, 2018. Bangladesh Securities and Exchange Commission (BSEC) on August 27 last year to conduct the electronic bidding for determining the cut-off price for its initial public offering. 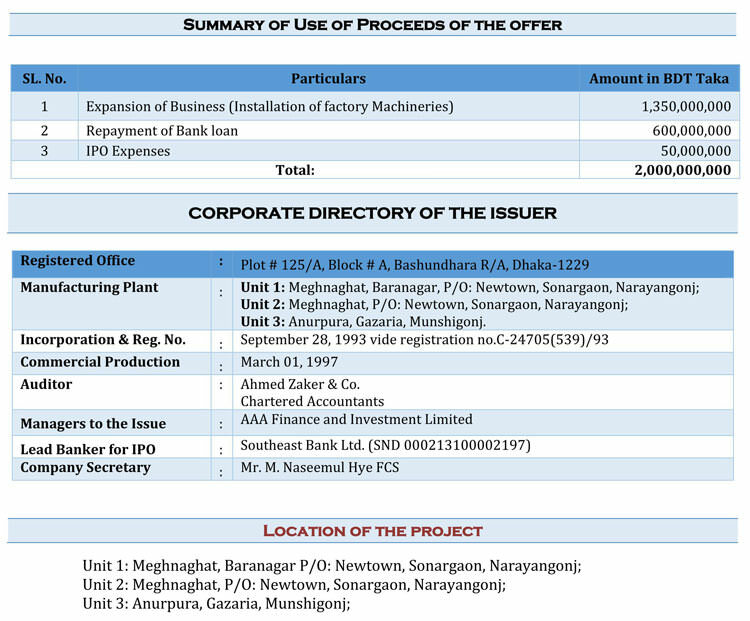 Bashundhara Papers Mills Limited conducted electronic bidding in October 2017 and the cut-off price has been fixed at Tk 80 each, including a premium of Tk 70 for each Tk 10 share for the eligible institutional investors. Bashundhara Papers Mills Limited raised Tk 2.0 billion, by floating more than 26 million ordinary shares, of which 15.62 million shares (60 percent) to be issued to the eligible investors at Tk 80 each. Th Remaining 10.40 million shares will be issued to the general shareholders, including non-resident Bangladeshis, at 10 percent discount on cut-off price, meaning the general investors will get each share of the company at Tk 72 each, as per the book-building method. According to the financial statement for the year ended on June 30, 2016, the company’s net asset value (NAV) per share is Tk 30.49, including revaluation reserve, whereas the value is Tk 15.79 without revaluation reserve. The weighted average of earnings per share (EPS) was Tk 1.46 for the year ended on June 30, 2016. AAA Finance & Investment Limited have acted on behalf of the company’s issue manager. The company’s IPO fund will be used to purchase machinery about Tk 1.35 billion, to repay bank loans of about Tk 600 million and to bear IPO expenses about Tk 50 million & IPO related other relevant expenses according to the IPO prospectus. Bashundhara Papers Mills Limited IPO Lottery Result 2018 published on 30 May 2018 & found here. Download Bashundhara Papers Mills Limited IPO Lottery Result from here. After ending of application of Initial Public Offer (IPO) from 30 April 2018 to 09 May 2018. Bashundhara Papers Mills Limited IPO Lottery draw held on 30 May 2018. Place: International Convention City Bashundhara hall-1 (ICCB) in the city, Dhaka at 10:30 A.M. The IPO results will be published on the websites of Dhaka Stock Exchange (DSE), Chittagong Stock Exchange (CSE) and the company’s website after the lottery programme. See the Result below. Issue Manager: AAA Finance & Investment Limited have acted on behalf of the company’s issue manager. Meghna Cement Mills Ltd. is a member of the Bangladesh Cement Manufacturers Association. Bashundhara Papers Mills Limited (BPML), a Sister concern of Bashundhara Group, Since the start of its operations, Bashundhara Papers Mills Ltd. was keen on establishing standards of security, safety and occupational health as a cornerstone of this vital sector which affects citizens in their daily lives. Bashundhara Papers Mills was also keen on establishing highly experienced and knowledgeable technical workforce trained to conduct all papers and maintenance work related vehicles operated by natural gas, the fuel of this era, being economical, safe and environmentally friendly. Plot # 125/A, Block# A, Bashundhara R/A, Road No-2 Baridhara, Dhaka-1229. 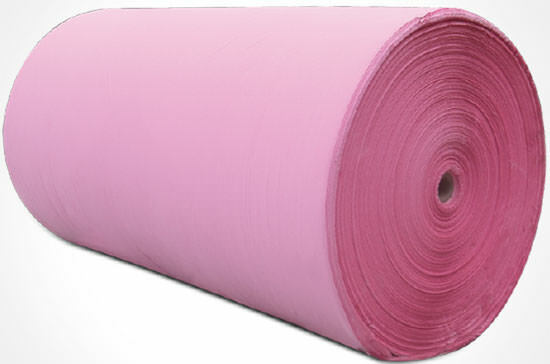 Phone: +880 2 8432008-17Fax: +880 2 8432196.